Rotor meets the demands for smaller, lighter chain rings with the Rotor Direct Mount Q-Ring. It is a simplified one-piece design that saves about 40 grams compared to other standard set ups. The direct mount chain-rings are machined from a single piece of aluminum, making them lighter and more rigid and durable. High quality now in the right size for gravel! 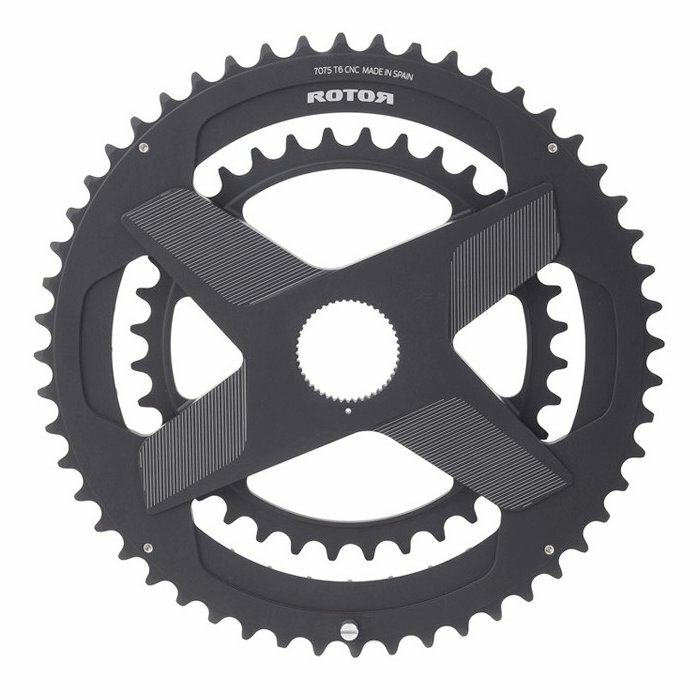 I’ve been waiting for Rotor to release this in their new direct mount format. I previously had some other 46/30 chainrings but they wouldn’t fit my new Rotor 2inPower DM crankset. This now gets me the great gearing that I wanted using the solid crankset. It’s expensive, but very high quality and looks great. Very easy to change out.